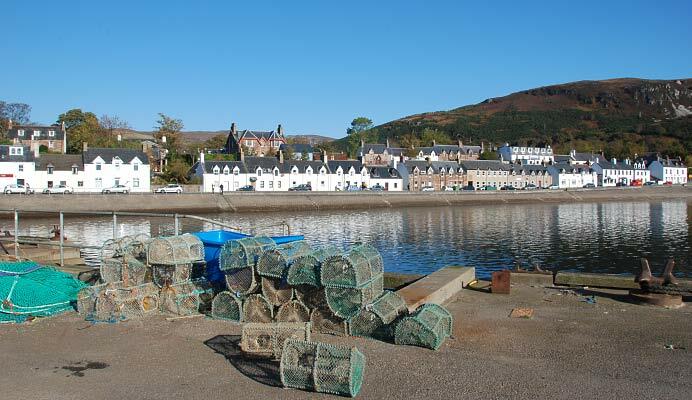 Ullapool is a lovely and bustling town compared to the surrounding area, especially around the harbour-side where you find shops, restaurants, cafes, boat cruises and the Calmac ferry terminal. Here you can take a ferry to the Western Isles, to Stornoway on Lewis to be precise. When you sit on one of the small terraces near the harbour side on a sunny day watching the fishermen landing their catch with the mountains of Wester Ross and Loch Broom as backdrop, you realise that this is a perfect wee place. You can easily spend a few hours just sitting here and watching the world go by. 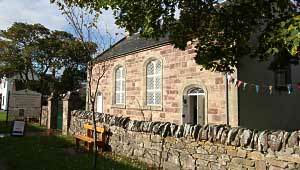 There is a museum & visitor centre in a former Telford church building in West Argyll Street where you can learn more about historic Ullapool and the surrounding area. There’s also an art centre, An Talla Solais, with changing exhibitions, a swimming pool, a fitness centre and several pubs, restaurants and quite a few guest houses, bed and breakfasts and hotels. The Seaforth Takeaway is well known, and rewarded, for their excellent fish and chips. 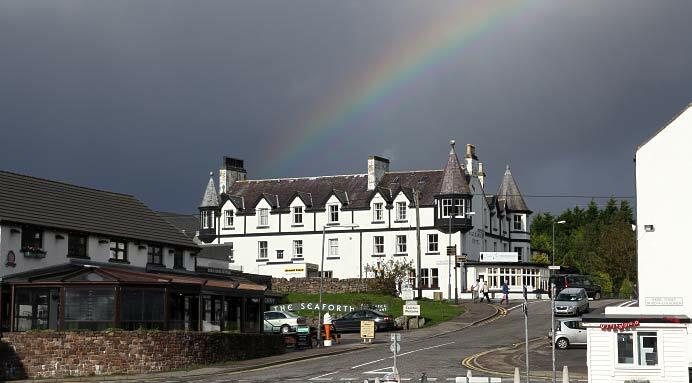 In May every year there is the three day Ullapool Book Festival attracting a diverse range of writers and with work in both Scottish Gaelic and English. All this makes Ullapool an excellent base to explore this part of Wester Ross as well as Sutherland in the north. 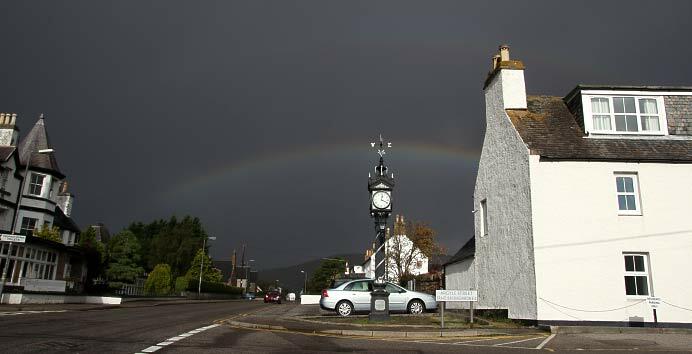 Ullapool is not an old town, it was founded in 1788 as a herring port by the British Fisheries Society and was designed by Thomas Telford. 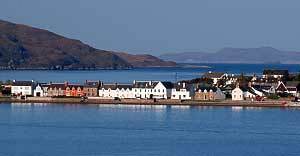 From the 6,000 people in Wester Ross around 1,300 of them live in Ullapool.